The Elufowoju jr Ensemble has brought together an all British-Nigerian cast which brings Lola Shoneyin's critically acclaimed book "T​he Secret Lives of Baba Segi​'s Wives" to life and it has succeeded spectacularly. The production combined choreography, music (composed by Oyebade Dosunmu) and movement vocabulary (Uche Onah) together with balanced direction and energetic acting to create a visual delight on stage. Adapted for the stage by Caine Award winning playwright Rotimi Babatunde tells the story of colourful and unique characters caught in a terrible web of deceit. It is a tale of polygamy, cultural taboo and gender roles of a family in Nigeria, a cultural diverse country that has so many stories to tell and yet has been given so few platforms to tell them, particularly in the diaspora. At the heart of this Nigerian family is Baba Segi - an overweight, flatulent, chauvinist. He has four wives; the first, Iya Segi, the second, Iya Tope, the third Iya Femi and finally his true love match, Bolanle. It is not until Bolanle arrives in the family that the entire web of deceit begins to unravel in this highly entertaining production. Fast paced and funny with an injection of sexual & sensual energy this play is better than any Nollywood film out there at the moment! So often the diaspora voice is overlooked; to bring this production to the UK says that we matter”. The eclectic cast is made up of Antonia Okonma, Ayo-Dele Edwards, Joseph Adelakun, Marcy Dolapo Oni, Patrice Naiambana, Sola Akingbola, Yetunde Oduwole, Olufunmilola Opeyemi, Tito Fagbenle and Richard Olatunde Baker. Although I loved each and every one of the ensemble I have to give a special mention to Patrice Naiambana who brings Baba Segi to life with such vigour and passion that he manages to make what ought to be an unlikeable character someone that you grow to like or at least empathise with by the end. The Elufowoju jr Ensemble has managed to bring us culture, drama, comedy and despair in this warm and moving play. As a member of the diaspora, a British Born Nigerian I appreciated this production on a more personal level, so often the diaspora voice is overlooked, to bring this production to the UK says that we matter and we care just as much as our continent based counterparts and for that I am grateful. I look forward to the play opening to a wider audience in 2016; it deserves all the success that it is due. 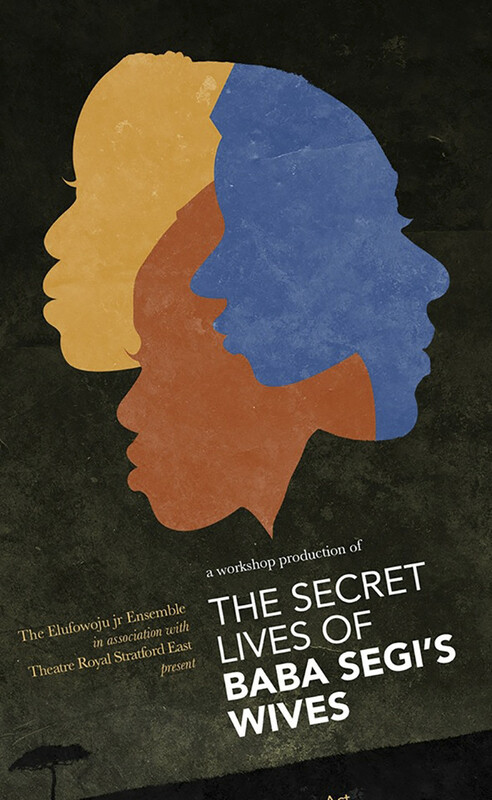 Info: The UK workshop production of T​he Secret Lives of Baba Segi​'s Wives presented by The Elufowoju jr Ensemble was held at Theatre Royal Stratford East on Friday, December 18, 2015.